Figures close to the French Front National leader Marine Le Pen and her father, the party’s former frontman, are reportedly named as having set up complicated offshore operations via various tax havens. The French newspaper Le Monde, part of the investigative network that’s seen the leaked ‘Panama Papers’, says Marine Le Pen’s friend and the FN’s top communications adviser Frédéric Chatillon used his firm to set up an international system of so-called shell companies and false invoices. French investigators, it claims, suspect but have failed to prove a link with the party’s finances. Both the Front National and its consultant have strongly denied the accusations. Frédéric Chatillon said on his Facebook page: “obviously, the Front National has nothing to do with this private affair, neither directly or indirectly”. “What he claims to have done – and clearly the examining magistrates instruction have already looked into it, is perfectly legal. All that will be done to try to connect this to the Front National or to Marine Le Pen will simply be defamation,” said the party’s Vice-President Florian Philippot. In a press release the Front National warns that “the party is not implicated in the Panama Papers affair”, and “will not tolerate things being scandalously mixed up behind its back”. The party’s ex-leader is also threatening legal action. His right-hand man is reportedly the beneficiary of an offshore firm worth over two million euros. 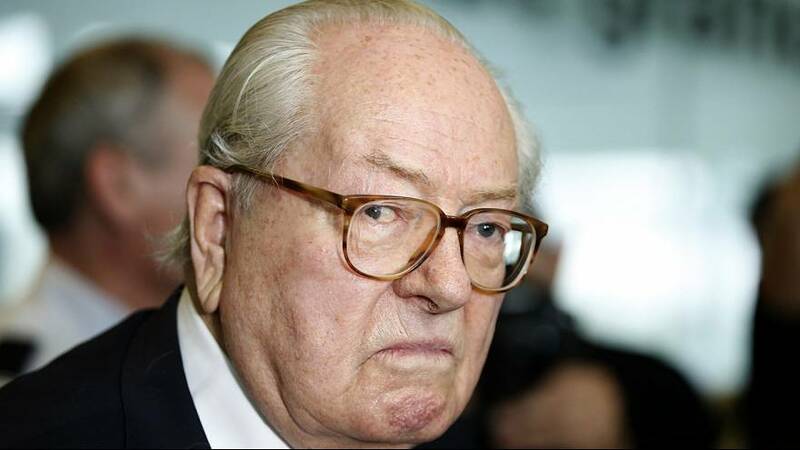 Le Monde claims French investigators into money-laundering have found links between the company and Jean-Marie Le Pen.